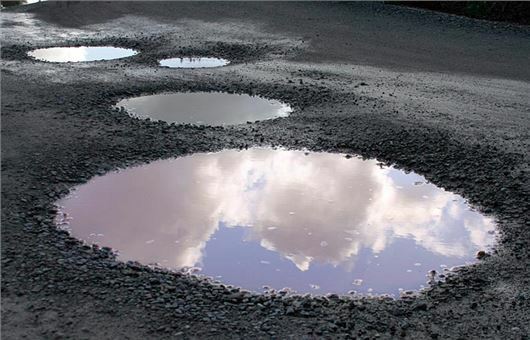 Research from the RAC shows that of 48,664 claims for pothole-related car damage submitted to UK councils in 2014, less than a quarter lead to any compensation. 23 per cent (11,184) of the claims submitted lead to compensation, which amounted to a total of £3.2m – an average pay out of £286 for each successful claim. The average administration cost per claim, whether successful or not, was £147. In the previous financial year there were fewer claim submissions at 46,139, of which more lead to compensation (11,764, or 26 per cent). The average payout was higher at £357. The figures come from a number of freedom of information requests submitted by the RAC to UK councils. Of the 207 contacted, seven did not respond. You can read Honest John’s advice and responses to pothole damage related questions by clicking here. You can count claims, they don't come in quantities, but in numbers.